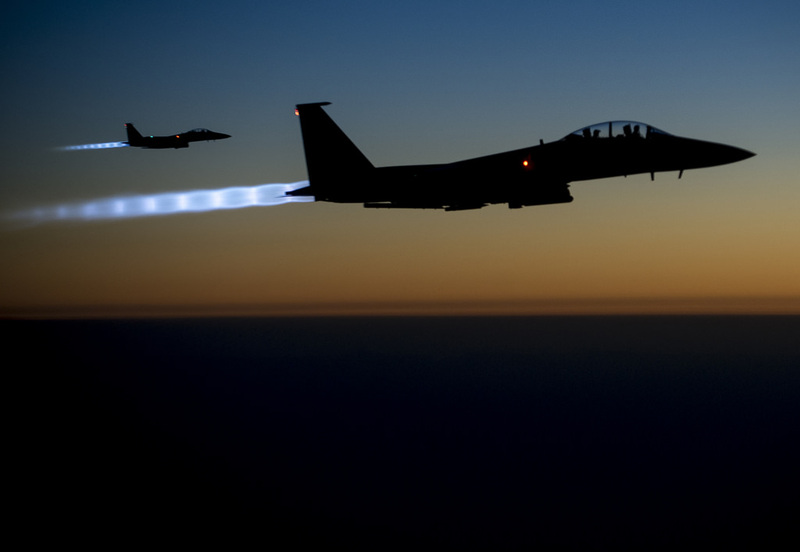 After reviewing almost 23,000 United States Air Force sorties over Afghanistan, an American academic has concluded that aerial attacks and shows of force are a poor counter-insurgency tool. “Evidence consistently indicates that airstrikes markedly increase insurgent attacks relative to non-bombed locations for at least 90 days after a strike,” Jason Lyall of Yale University writes in the introduction to Bombing to Lose? Airpower and the dynamics of violence in counterinsurgency wars. It is the latest contribution to a discussion that started 90 years ago, as the Italians, in North Africa, and the British, in the Middle East, inaugurated aerial attacks on restive and rebellious colonial and protectorate populations. And it enriches the discussion of the decision of Western governments to battle the Islamic State (Also known as IS/ISIL/ISIS) insurgency in Syria and Iraq solely, or mostly, from the air. Airpower poses a particular challenge for rebel governance since its unique capacity for rapidly and suddenly degrading insurgent capabilities can erode their ability to control a given population. Insurgent losses may embolden locals to defect to the counterinsurgent’s side, for example. This may take the form of withholding material assistance such as food and shelter or the imposition of restrictions on operations as local leaders organize to limit the damage from airstrikes. Local informants may also provide tips to the counterinsurgent about insurgent identities and behavior. At the extreme, civilians may even counter-mobilize against insurgents by forming their own militia or siding openly with counterinsurgent forces. Violence therefore becomes a means by which insurgent organizations can blunt the counterinsurgent’s efforts to drive a wedge between rebels and locals. Failure to respond may in fact invite whispers that control is slipping away. The Pakistani Taliban in Waziristan, for example, “came to realize that the increasingly effective drone strikes made them look weak,” and they began taking precautions (including cordoning off attack sites) to discourage rumors of weakness from spreading. Revealing the capacity to “hit back” at the counterinsurgent after an airstrike thus carries the implicit message that these coercive abilities could also be turned against would-be civilian defectors and wavering insurgents. Defection can also take the form of locals throwing their weight behind another insurgent organization that appears to be more effective against the counterinsurgent. The potential emergence of a rival organization and the corresponding loss of “market share” will further reinforce the value of a reputation for resolve against counterinsurgent forces. By imposing costs on the counterinsurgent, an insurgent organization could satisfy popular demands while forestalling the entry (or creation) of rival organizations in an area. Indeed, local civilians may even shrug off casualties inflicted by insurgents while striking back, particularly if those individuals have been victimized by the counterinsurgent. While we are not privy to internal Taliban deliberations, the notion that they value their reputations for resolve at the local level finds initial support from interviews and survey data. Taliban commanders and foot soldiers alike have routinely singled out airstrikes as especially problematic for Taliban strategy, for example. These accounts stress both the fact that airstrikes are far more destructive than comparable [NATO] operations and they are asymmetric in nature, with the Taliban lacking an equivalent response in the absence of their own airpower. Worse from the Taliban standpoint is the highly visible nature of air power, which removes the ability to discount or ignore their effects, placing additional pressure on insurgents to match these actions with their own. Taliban strategy has also evolved over time to reflect the importance of cultivating a positive image among local populations, though there are limits to such efforts. The Taliban have resorted to an extensive assassination campaign against government officials, along with those suspected of assisting the Karzai government, since 2007. Above all, there is an awareness that populations could curtail their support — or even push the Taliban from a village— if cracks developed in the facade of local Taliban control. As one villager berated a local Taliban commander after an airstrike . . . . : “Don’t be a coward and hide among civilians. . . if you want to fight Americans, go down south and leave us alone.” Territorial control may therefore hinge on establishing and maintaining a reputation for resolve, particularly if this reputation forestalls defection while helping local units garner a greater share of overall insurgent resources. This reputational mechanism suggests two behavioral indicators. First, if reputational dynamics are driving insurgent violence, then we should witness insurgent “push-back” even after non-lethal shows of force — simulated bomb runs where no ordinance is actually dropped — since these are also highly visible signals that could drive a wedge between rebels and locals. Second, this mechanism suggests that insurgent responses should be localized. That is, the causal effect of an airstrike should dissipate sharply as distance from the bombed location increases since insurgents emphasize their local standing.